Directed by Alain Daniélou, all of which have been or will be republished as compact discs by Auvidis Paris. 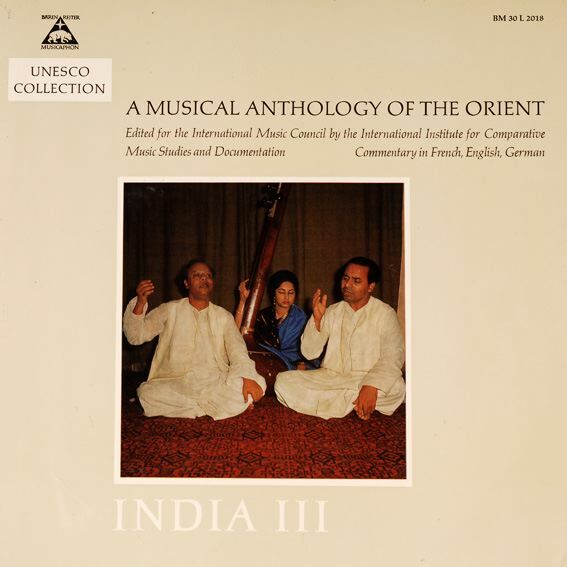 Musical Anthology of the Orient, Bärenreiter-Musicaphon, Kassel. India I : Vedic Chanting. BM 30 L 2006. India II : Dance Music from South India. BM 30 L 2007. India III : Dhrupad by the Dagar brothers. BM 3O L 2018. India IV : Carnatic Music. BM 30 L 2021.